How Is My Medical Information Made Available To The Parties Involved In My Workers' Compensation Claim? | Pothitakis Law Firm, P.C. How Is My Medical Information Made Available To The Parties Involved In My Workers’ Compensation Claim? Today, there are a number of laws that protect our medical records. Care providers and insurance companies are not permitted to share information about patients without permission, and stiff penalties exist for those who do so. However, when an injured or ill employee pursues a workers’ compensation claim, there are different rules. These cases are based on the assertion that an employee suffered because of a work-related situation, so it is necessary to show medical evidence that supports that claim. To that end, medical records typically must be shared with the parties involved, including the employer and insurance company. Every situation is unique, so there are specific guidelines that govern what information must be shared and how it should be disseminated. 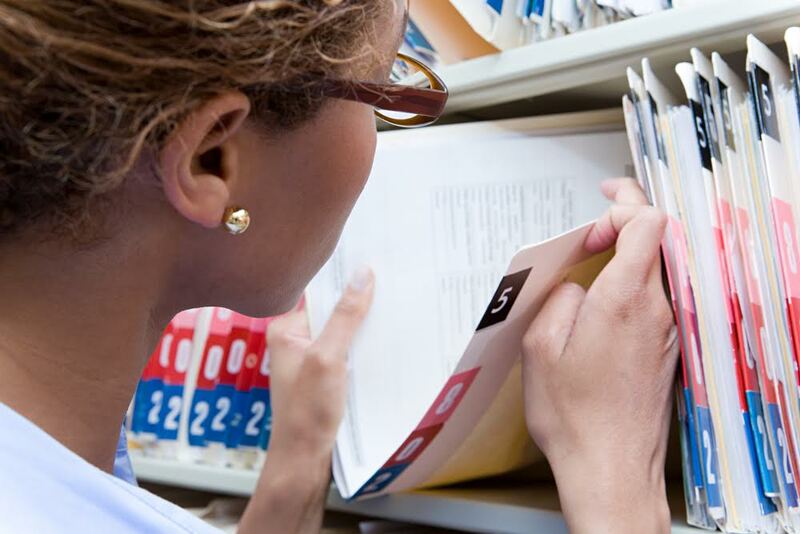 Why Does My Employer Want to Read My Medical Records? Medical treatment was obtained and necessary. If an employee did not seek treatment for the injury he claims to have suffered, it can be difficult to pursue a workers’ compensation claim. If he did, medical records will show that a qualified provider administered necessary care. The documented injuries match the incident report. Medical records documenting injuries can corroborate an employee’s claim as to how the workplace accident occurred. For example, if an employee claims that repetitive use of machinery has damaged his elbow, his medical records can show the nature of the elbow injury, the specific diagnosis, and the type of treatment prescribed or stated as necessary in the future. Do I Have to Sign the Waiver to Allow Access to My Medical Records? The short answer is yes. Iowa workers’ compensation law requires injured employees to provide access to medical records to prove the claim by signing a waiver that allows providers to share personal information. Unfortunately, this may include information the employee may consider personal or even embarrassing. Additionally, medical records are also typically required in cases involving the death of an employee, and an authorized representative of the deceased may be asked to sign a waiver. An insurance company representative may attempt to get an employee to sign a waiver allowing unlimited access to all records, including past records and records not related to the work injury. While the insurer is entitled to obtain information to gain a comprehensive view of any earlier injuries or pre-existing conditions, there can be limits. An experienced workers’ compensation attorney can help injured workers understand their rights and work to protect privacy as much as possible. It is also important to note that both sides have an equal duty to provide records. If requested, the employer and insurance company must also provide the employee with copies of the medical records they receive. Both sides are entitled to have all the same information. Who Is Allowed to Share My Personal Information? Employers and insurance companies have the right to seek information from any provider who treated a worker relevant to the work injury. This can include your family doctor, hospital staff, psychiatrists or psychologists, rehabilitation therapists, and any specialists. Once an employer or insurance company has your medical information, they are obligated to protect your privacy as much as possible. Outside use for your workers’ compensation claim, your medical information is confidential. Although it may be uncomfortable, you’ll need to provide personal information to properly settle a workers’ compensation claim. Fortunately, the experienced attorneys at the Pothitakis Law Firm can help you protect your privacy as much as possible and offer guidance in these difficult situations. Learn more about Iowa workers’ compensation and how our legal team may be able to help by downloading a free copy of our book, 7 Things You Must Know if You Get Hurt at Work. Can I See My Own Doctor After an Iowa Work Injury? Previous PostPrevious What Kinds Of Work Injuries Are Covered By Iowa Workers’ Compensation? Next PostNext What Is Workers’ Compensation?